Ever heard of fixed power scopes already? If so then you must have already hear also that these scopes are often unappreciated and underrated. What other people do not known is that a fixed power scope offers a good number of benefits and advantages compared to a variable scope. Unfortunately, many people set aside the thought of buying and using a fixed scope and opt for a variable scope instead due to the ability of the latter to perform different levels of magnification. A good and reliable fixed power scope exudes simplicity in many ways and this proves to be true when it comes to its user interface. In short, the scope is easy to use and this is the main benefit it actually offers. In addition, a good and reliable fixed scope is also tough as steel because of its design that entails simplicity. In most cases, the lack of moving portions is an indication that there are fewer things that are more likely to fail. The best fixed power scope has the ability to meet all your needs and this proves to be true when you use it dedicatedly to perform a single task such as competitive shooting, tactical shooting or hunting. A fixed power scope will never be called as the best one unless it also exudes durability and high sense of optical power that you may not be able to find and achieve from other variable scopes out there. Your search task also becomes much simpler with the following criteria which we often use to compare our scope entries for every respective category. The criteria are complexity, precision, durability and cost. Weaver K6 6X38 Riflescope. This scope from Weaver is a top-of-the-line pick in classic K scopes. It has features and characteristics that will enhance your firearms in a way only Weaver can do. It comes with fully multi-coated lenses for optimum edge to edge clarity, fixed power for rugged recoil, dual-X reticle with ¼ adjustments at 100 yards and measures 11.6 inches and weighs 9.8 ounces only. Leupold FX-3 Fixed Power Scope. As far as complexity, this fixed scope from Leupold has a lot to offer and one is its Xtended Twilight Lens System which is something that allows the transmission or low-light wavelengths. This allows you to see the details of low-light scenes in brighter and greater detail. It also comes with a Diamond Coat 2 lens and blackened lens edges that reduce light diffusion so more light reaches the shooter’s eye. There’s much more to expect with this fixed scope from Leupold. Bushnell Elite Tactical Mil-Dot SFP Reticle LRS Riflescope. This 10 by 40 mm fixed power scope is an excellent and elite pick for tactical shooting. Features a mil-dot reticle and target turrets, 10x magnification with blacked-out finish for concealment. It also comes with a Rain Guard HD that breaks up moisture and keeps lens clear. Weaver K6 6X38 Riflescope. This scope from weaver is an effective choice for professional use. It comes with multi-coated lenses for optimum edge to edge clarity, allowing you to achieve a great deal of accuracy and precision. Precision is also achieved with this scope’s Dual-X Reticle with ¼ adjustments at 100 yards. 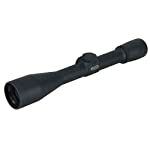 This small and lightweight scope makes an excellent pick if you are looking for a professional-grade fixed power scope. Leupold FX-3 Fixed Power Scope. This scope allows and optimizes the effective transmission of low light wavelengths so you are allowed to see the details of lowlight scenes in brighter and clearer details. With the blackened edges of the lenses light diffusion is reduced and higher resolution and brighter image is achieved. Its LR Duplex Reticle allows you to shoot at long-range targets. Bushnell Elite Tactical Mil-Dot SFP Reticle LRS Riflescope. This 10 x 50mm mil-dot fixed scope provides a great sense of reliability when it comes to optical precision. And with its 10 x 40mm tactical scope features a mil dot aiming reticle and target turrets so that you can quickly and precisely line up your shots. Truly, this fixed scope from Bushnell is developed with military and law enforcement experts nationwide, providing you with unfailing reliability with the addition of application-specific features. Weaver K6 6X38 Riflescope. This small and lightweight fixed power scope from Weaver is made from one-inch tubes aircraft grade aluminum tube and the ability to stand against constant rugged recoil. Leupold FX-3 Fixed Power Scope. This scope comes with a scratch-resistant lens. It comes with an internally threaded, lockable and extreme quick focus eyepiece with Alumina rubber eyepiece guard. A durable cover is also included to protect your scope when not in use. It features absolute waterproof integrity as well. Bushnell Elite Tactical Mil-Dot SFP Reticle LRS Riflescope. This scope comes with Rain Guard HD anti-fog technology that keeps lens in all conditions. Its strong and sturdy one-inch body tube is argon-purged for reliability and comes with a limited lifetime warranty. Weaver K6 6X38 Riflescope. Compared to the two other options we have on this list, Weaver K6 6X38 Riflescope is the lowest in terms of price, making it as an effective pick for people who are looking for quality and affordable fixed power scope. This scope comes available at a price that’s just below one hundred and sixty bucks. Leupold FX-3 Fixed Power Scope. Priced at less than four hundred bucks, this scope from Leupold is a good pick for those with extra money to spend for a high quality and reliable fixed power scope. 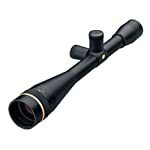 In fact, this scope has the highest price tag compared to the two other scopes on this list. Bushnell Elite Tactical Mil-Dot SFP Reticle LRS Riflescope. This scope from Bushnell stays in the middle of the two other scopes on our list. Tagged with a price of less than two hundred and twenty-five bucks, Bushnell Elite LRS Riflescope makes a good pick for anyone looking for a professional-grade fixed power scope. So, we are finally done with our review and comparison and this time we have found out which among the three made it possible to be the best fixed power scope. Obviously, Bushnell Elite Tactical Mil-Dot SFP Reticle LRS Riflescope placed itself at the top for getting the highest score in terms of precision and durability. Our runners-up though (Weaver K6 6X38 Riflescope and Leupold FX-3 Fixed Power Scope) also played well in the game so you are free to pick any of them as well for your specific needs. After all these three scopes are the best ones we have found on the market today.